Someone once asked me what a “desert island” collection was all about. To my surprise, the concept was not well known. The idea is: If you were going to be stranded on a desert island for the rest of your life, what music (or movies, books, etc) would you want with you? Here’s my music list. A similar list for books is on the way. Of course, this list assumes I have many batteries or a solar-powered CD player on the island. The power and emotion of the singing, combined with the moods and intricacies of the music bring me back to this disc at least once a month. Davey (Davy) Graham: Folk, Blues & All Points in BetweenThough this recording has been criticized for its sound quality and for Davey’s singing, I think it is a fresh glimpse at the artist and the songs, and it had a great effect on my performing. The CD cover pictured above is not the same as the one on my CD. I believe my CD contains the original picture before the CD was re-mastered. In my case, just about anything from Jethro Tull is going to be hard to decide on, but when I look back over their 25+ year history, I have to go back to one of the two most influential albums I owned when I started learning how to play. Aqualung comes in a close second, but only Thick As A Brick has the musical complexity and moods that truly influenced my musicianship. I didn’t think of this one right away, but as I looked back through my collection, I realized just how much this album would later influence my experimental approach to music and guitar. Emotion, mood, guitar and bass chops – it’s all here. The power (both dark and tender) on this double album was a staple of my early days as a bass player in heavy metal and rock bands. I never realized the importance of this recording until I realized that the riffs and chord changes are just as memorable as any suite by Mozart or Beethoven. For moods, emotion, and concepts, Pink Floyd is hard to beat. I wouldn’t typically pick a recording that is associated with the drug counter-culture, but this recording was so good that it was lucky enough to reach sober listeners. It had no less of an impact on those of use who weren’t high whenever we listened to it. In fact, I think we probably had the better experience. Just about anything by Bach, but especially his Violin Concertos. His work has definitely influenced how I orchestrate my MIDI arrangements. Imagine what Bach would have done with Cakewalk! This recording was a landmark in so many ways, demonstrating that it was OK to be angry in music – very angry. In many ways this recording served as a soundtrack to a certain point in my life when I was going through many of the things Trent Reznor was writing about. And while I’m far past that point, and (I hope) more mature, the raw energy of this recording makes it useful as an outlet when the darkness creeps back in to my consciousness. Back in the late 80’s and early 90’s, this was one of several 8-track tapes that I wore out. This was one of the other 8-tracks, except I wore this one out completely and had to replace the album with a CD. The raw power and emotion of Cat’s voice, and the intense spiritual message inherent in most of the songs, was (though rather belated) the inspiration for much of my own musical path…. I’m a newly converted Tom Waits fan, and I’m just amazed at his body of work. It is hard to pick any one album right now, but I think Rain Dogs is a great start. I like Tom Waits for his lyrical abilities and his production vision. I have rarely heard music with such vivid characters and with such a unique aural landscape. Mental Jewelry is full of anthemic songs that vibrate with meaning and intensity.When this album came out, I really liked the songs, but I didn’t get into the band very much. I’m now more appreciative of LIVE, and especially this album. These days I can see a reflection of their style in my own, and I realize they were more than just a passing interest. I’m glad to see they have endured. This is a recent find for me… but it sounds like the kind of music I’ve been wanting to hear for year. I am sure it will be very influencial. What is so amazing to me is that this group was together for only three years and they practically changed the face of East/West fusion. Beck’s music either resonates with me or turns me off. I tend to like his acoustic experiments more, and while I appreciate his studio wizardry, I am grateful that he can write poignant songs without a lot of fluff. 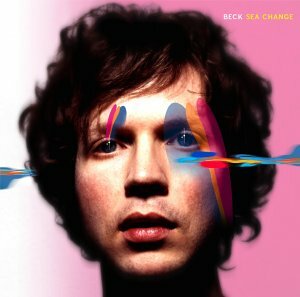 If I had a vinyl copy of Sea Change, it would have been worn out completely within a few weeks. Definitely a gold standard of an album. Previous Post » Physical or Digital?